The intensive weekend lived in the Molina Cordillerana Zone, in the Maule region. It all starts last Friday, at find the body in Radal Siete Tazas National Park. Saturday was discovered, thanks to the work of Carabineros, military and civilian personnel in the area. 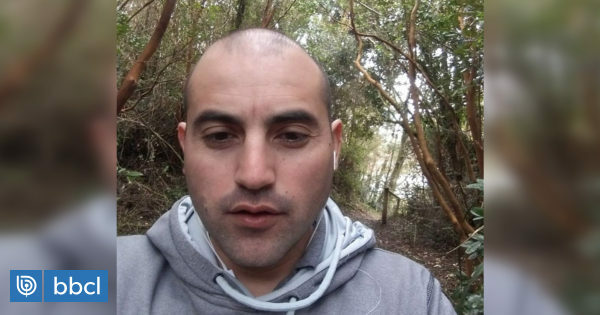 And finally The suspicions were realThis Sunday of Identity Sebastián Jofré (31), a hiker and another Chilean army leader, disappeared in January this year. In the middle of the holiday, the young man left Talca Monday, January 21with two friends. They visited there Sector El Bolsón, characterized by trails, prints, forests and streams. But four days later, The trio split up to meet again at Molina, in two days, but it did not happen. In this regard, in addition to the search for special equipment and aircraft of the army, alerts were also launched on Conaf and Carabineros de Molina, without positive results. After months of search, On Friday, a body was discovered at the bottom of the gaps in the El Colmillo sector, in Quebrada del Diablo. Members of the GOPE came to help the body, Checking the identity of the victim by transporting their documentsProsecutors Molina, Monica Barrientos and Carabineros de Curicó, Colonel Aldo Borrona explained. With a long death date, Jofre's remains were transferred to the legal medical service in Curicó for their autopsy and identity ratification. The prosecutor's office, however, investigates the circumstances in which Jofre died and does not exclude that it was an accident which caused the fall.